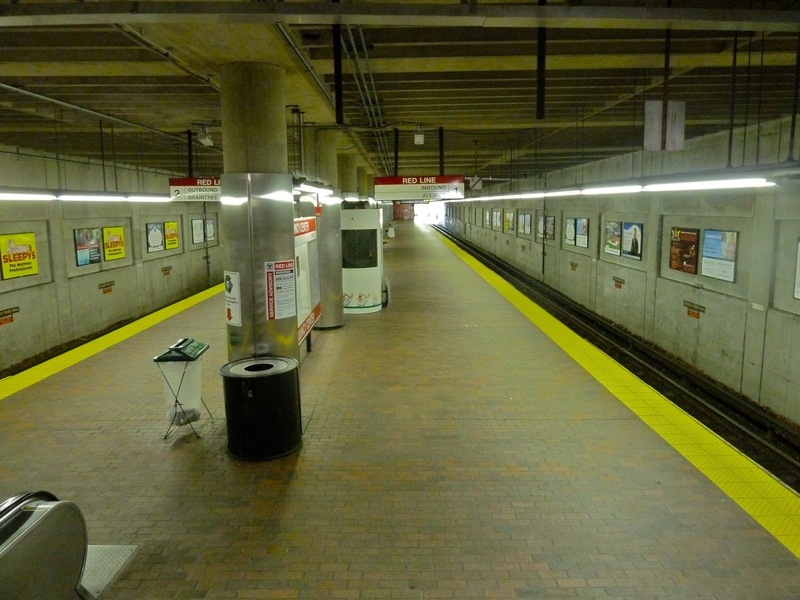 I've passed through Quincy Center plenty of times, but I've never truly visited the station. I finally got the chance to when I was on my way to - you guessed it - ride a bus. I was actually blown away by the station layout and design. The Red Line platform is quite nice. Although Quincy Center is pretty much an above ground station, it feels like a subway. Sure, you can see outside on both ends, but the platform itself is in a tunnel. It's also very...shiny here, thanks to reflective pillars. I'm sure it can be cold here in the winter, but at least there's shelter from rain and snow. I wasn't able to visit the Commuter Rail platform, but it looks like it has the same subway-like feel of the Red Line platform. 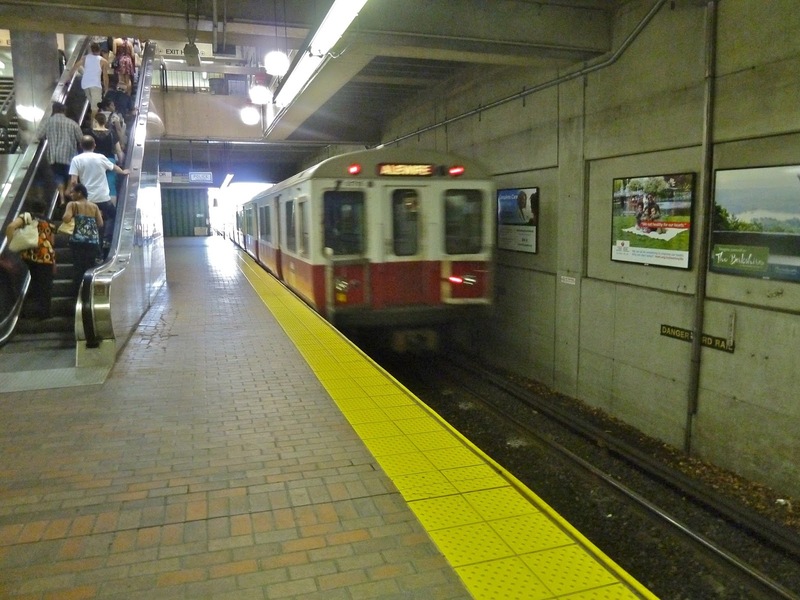 According to Wikipedia, the Commuter Rail has a single platform and a single track. It's served by the three Old Colony Lines: the Plymouth/Kingston Line, the Middleborough/Lakeville Line, and the Greenbush Line. The CapeFlyer also runs through it, but doesn't stop. The busway is quite good, though. There aren't any massive mazes here, just a nice straight line. There are also plenty of bus options here. 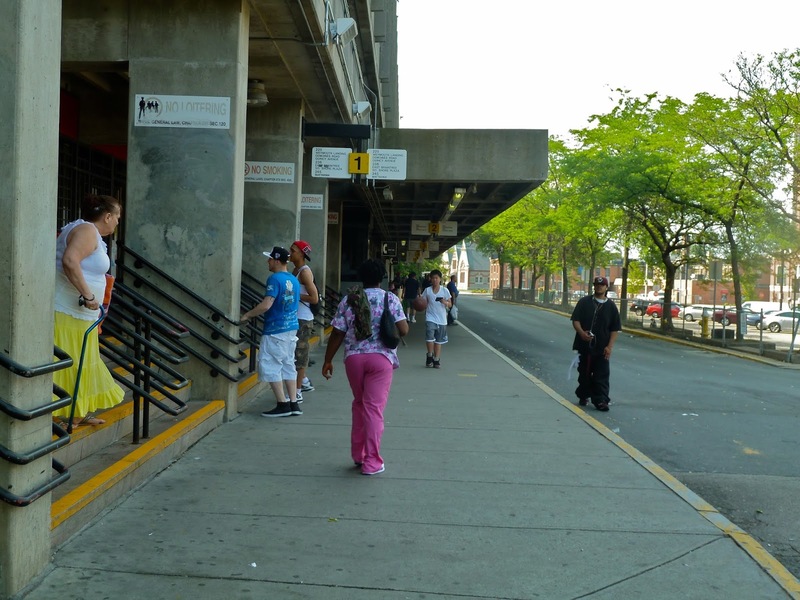 The 15 buses from this station all serve points around the South Shore. Unfortunately, none of them have very good service. There are only two buses here that run under every hour on Sundays, and they still only go every 40 minutes. That's pretty bad service, although Quincy is pretty far south to be fair. The busway is crowded, especially for a Sunday. Quincy Center has an impressive parking garage. It's the oldest in the system, and it has over 850 spaces. Or at least it used to. The garage was closed "indefinitely" in 2012, as it's apparently structurally unsound. People now have to park at other stations, which can be a large inconvenience. It's really too bad, as it seemed like a large efficient lot from what I saw. These are all connected by a standard mezzanine area. It has schedules of all the buses at the station and some fare gates. There are pretty urban surroundings around the station. Overall, I think this is a great station, although the closed parking lot just ruins it all. Ridership: This is a good station for commuters. Or at least it used to be. It's not great now that the parking lot's closed, though. People still change over from the train to the bus to get to places not served by the train. Cons: ...but they all have pretty bad service. The stairs coming down to the platform are also in a pretty sorry state. When the speaker comes on to say a train is arriving, I just want to cover my ears because it sounds so bad. And the parking lot is closed. That's just a massive inconvenience for commuters coming in by car. Nearby and Noteworthy: There's plenty to do around Quincy Center, and although I don't have anything specific, I know that there's a lot within walking distance here. I fell in love with this station initially. I loved the subway feel of the platforms, I loved the busway, and I loved how large of a hub it is. But then, its cons became more apparent. The buses all have terrible service, the stairs coming down to the platform are in awful condition, and the speakers are torturous to listen to. The parking lot being closed was the final nail in the coffin; it's just such a large inconvenience for commuters. I'm sorry, Quincy Center, but you're not that great after all. Latest MBTA News: There are shuttle buses on the Red Line running from Broadway to JFK/UMASS on June 29-30. Other than that, I'm departing for London and Germany today! I'll be back next Tuesday. Its such a shame that many commuter rails just pass through here without stopping. The large garage was built when it was the end of the line. Once the garages at Braintree and the large one at Quincy Adams opened, it got much less use. The commuter rail platform got shoehorned in there, hence why the single track and few trains stopping there.